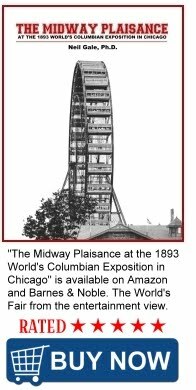 The Digital Research Library of Illinois History Journal™: How did land from Niles, Illinois become a small subdivision of Chicago on Touhy Avenue? Thank George Wittbold. How did land from Niles, Illinois become a small subdivision of Chicago on Touhy Avenue? Thank George Wittbold. 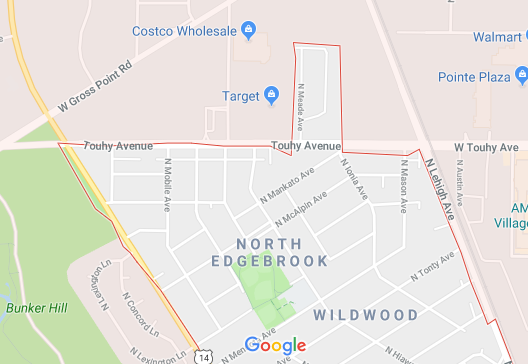 Northwest Side, where winding cul de sacs hit the strip malls of Touhy Avenue and the subdivisions bear the name of the natural features they tore down to make the subdivisions, there’s a little blip of Chicago carved out of Niles, Illinois. There are no markers that say the blip is still Chicago. On the south side of the street and down a touch there’s a small sign that welcomes people to the North Edgebrook neighborhood of Chicago’s Forest Glen community, but on the north side of Touhy the blip is nondescriptive from the suburbs. There’s charming older homes there. It’s a single subdivision, about 600 feet east-to-west and 1,300 north-to-south. It’s Niles to the north, east and west, but it’s legally Chicago. There’s no reason it should be Chicago, or at least not a reason that doesn’t trace to a 1920s land boom and an empire of flowers. Heading north on Meade Avenue past the storage locker business on Touhy brings you to a subdivision that’s what subdivisions were meant to be. No megamansions that scream of status, just rows of small, single-family houses. It’s relaxing there, as Meade curves into Sherwin and then McVicker. It’s comfortable. The neighborhood feels friendly and welcoming. The blip entered into Chicago on July 7, 1928 along with the neighborhoods of North Edgebrook and Wildwood, according to the map below. 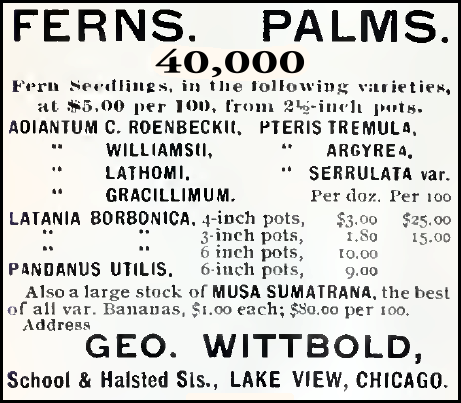 In 1928, florist Louis Wittbold wanted to turn his family’s massive properties of nurseries, orchards and greenhouses into real estate, assembling a tract of 165 acres from landowners including himself, his brother Otto Wittbold and a man named Herman Wagner. In “what is called a record for simultaneous approval of a subdivision by county, city and regional planning authorities,” according to the Chicago Tribune, the prominent landowner pushed the deal through in March 1928. In May of that year, the land was annexed to Chicago. The homes are post-war, according to the Cook County Assessor’s Office. That’s a gap of more than two decades between homes and the land deal. The Wittbold family story is fascinating in its own right. Louis and Otto’s father George Wittbold, former gardener to the King of Hanover's estate, came to Chicago in 1857. He set up shop in Lakeview, soon owning huge greenhouses at School, and Halsted streets in modern-day Boystown neighborhood. American Florest Advertisement, August 15, 1889. As the area developed, George got in on the game, turning his Lakeview land into apartments and moving his nurseries and greenhouse operations to the north of Chicago’s Edgebrook neighborhood, which had been part of the city since 1889. Greenhouses of the George Wittbold Company in Edgebrook, Chicago, Illinois. Nursery and Greenhouses of the George Wittbold Company. 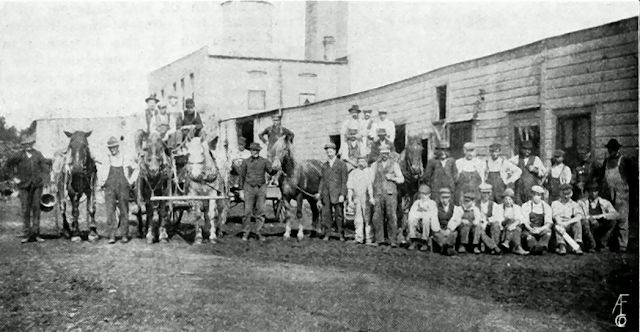 Packing House and Employees of the George Wittbold Company. 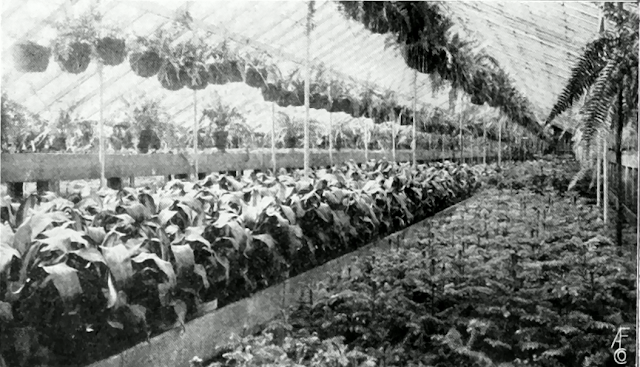 Interior of a George Wittbold Company Greenhouse. And in the 1920s, his son Louis pushed a massive land deal through local appoval. The Wittbold Reality Company at 134 North LaSalle Street, Chicago, purchased the last bit of land before the deal was completed was 17 acres from Herman Wagner — “the Kellen tract.” The blip isn’t quite 17 acres and it’s a little west of the Touhy and Austin address the Tribune gave for the sale. The tract of land was known as Wittbold's New Indian Boundary Park subdivision № 2. 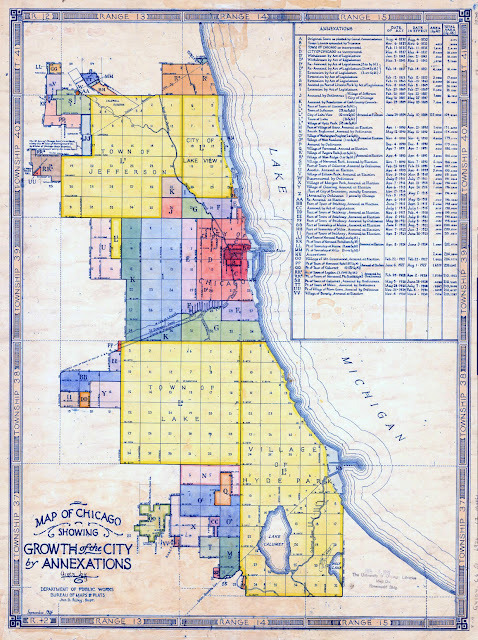 The entire tract of 173 acres was annexed to the City of Chicago. The property was surounded by three golf courses and the Edgebrook forest preserves. The whole tract of land is said to have cost Wittbold approximately $750,000. The property extends from the right-of-way of the Chicago, Milwaukee, St. Paul and Pacific, westward along Touhy avenue for a mile. The land itself is of historical interest, being a part of an old grant made by the United States Government to Billy Caldwell, son of a British army officer. Billy's mother was a member of the Sauganash Indian tribe. So why is there a blip of Chicago carved out of Niles? Because that’s the land Louis Wittbold owned. Why did he own a little blip just north of his family’s massive growing yards and acres of greenhouse? We may never know. Maybe it was offices, an extra greenhouse or just part of the 17 acres he picked up when Herman Wagner wanted in on the subdivision game. Whatever the reason, the long-dead florist lives on in the boundaries of Chicago.